Organised 13 carbon accounting workshops which attracted 253 attendees representing 60 different organisations. Received over 6,000 visits to it’s websites. Organised the 4th International Conference on Carbon Accounting. 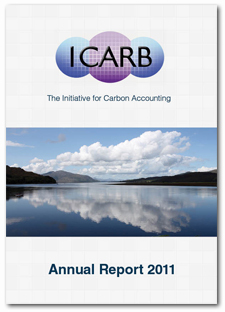 Made 85 carbon accounting presentations available online which have been viewed over 16,000 times. If you would like to save a copy of the report then right-click the link above and select “Save target/link as…”. This entry was posted in Carbon News, Top news on September 1, 2012 by Ric.